Air to destination NOT included. Lift ticket not included (added as option during registration process). 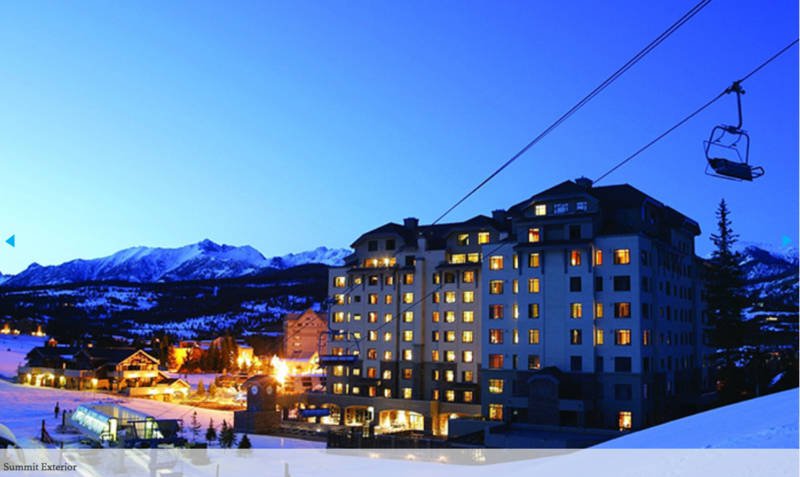 Price shown includes round-trip air and 5-day lift ticket. Lowered by $85 7/7/18 with switch to air on Delta (was $2,250). 7 nights (Sat-Sat) in luxury accommodations at The Summit Lodge with welcome reception & full daily breakfast buffet in the Peaks Restaurant. The elegant Euro-Western Summit is one of the finest slope-side properties in the Rockies. 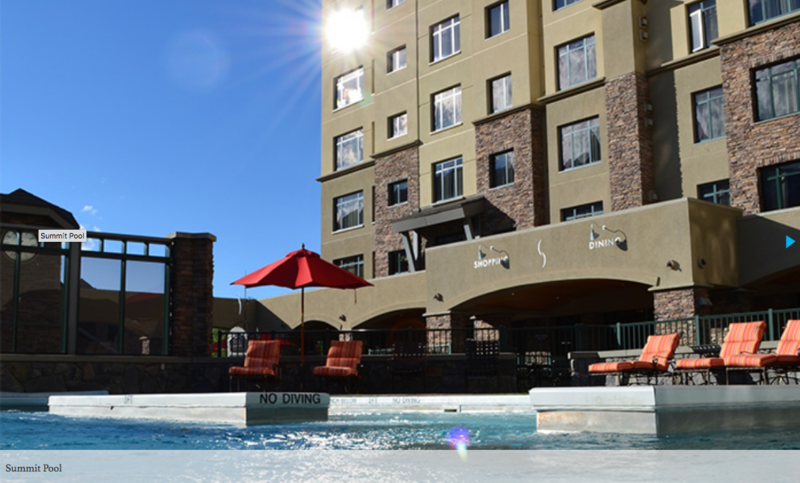 Combining luxury appointments with a prime location in the heart of the Mountain Village Center, The Summit is situated right at the apex of the two main lifts on the mountain -- Swift Current going up Lone Peak and the Ramcharger lift to Andesite Mountain. The Ramcharger is being upgraded to a state-of-the-art (and first in North America) 8-seat lift this summer, so the brief morning lines will be even shorter! The listed price includes double occupancy in a room with two Queen beds and round-trip air from Washington Reagan National Airport (DCA) to Bozeman (details below). Add $991 for the single supplement if you want a Q/Q room to yourself. The listed trip price includes five days of lift tickets for an adult skier, but other options are available to choose from when you register including a $90 upgrade to a 6-day ticket. There is no discount for seniors, but 12 & under children ski free. Non-skiers may deduct $325 for the package without lift tickets. Skiers holding an Ikon Pass should confirm their benefits before selecting their lift tickets. “Full-up” Ikon Passes afford 7 days of skiing at Big Sky without restriction, but the less costly Ikon Base Pass affords only 5 days and is specifically blacked out on our first day of skiing (Sunday, January 20). Our rooms have coffee makers and a wet bar with a half-size refrigerator. Rooms with one King bed (and a fireplace) are available as a priced upgrade. 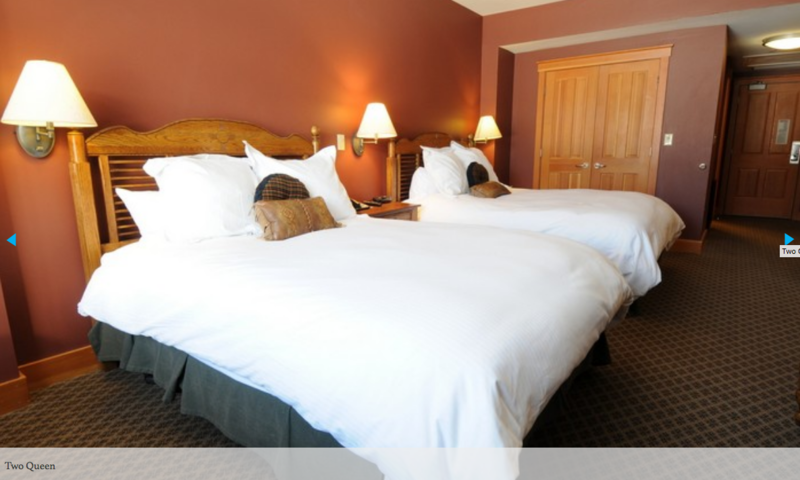 Studio rooms with a Queen Murphy bed, a sofabed, a compact (but full) kitchen, and a fireplace -- perhaps ideal for couples or a single skier -- are also available at a modest discount from the standard Q/Q rooms. Amenities include daily housekeeping service and nightly turndown.